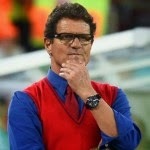 Usmanov will pay the national federation’s debt to coach Fabio Capello, who has gone unpaid since June, reports R-Sport. “It is a disgrace when a person who’s working for Russia doesn’t get paid for his labour,” Usmanov said. The issue has become an embarrassment for Russia, the host of the 2018 World Cup. Sky Sports News HQ reports that the Arsenal shareholder has given the Russian Football Union (FUR) a loan of close to £4million in order to cove wages owed to former England boss Capello. It is believed that Capello has not been paid since June last year which has prompted Usmanov to step in and make the offer to the FUR which will be confirmed in the next few days according to Russian sports minister Vitaly Mutko.